Trio of Ladies Bring Their Certified Wine Knowledge Into your Home or Business! 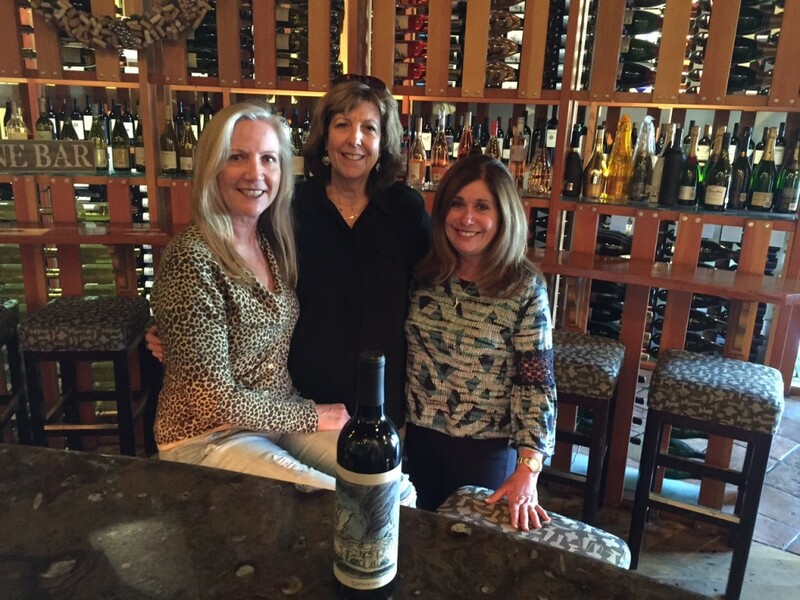 SANTA CLARITA September 2016 – In April of 2016 it was announced that three local Santa Clarita women had achieved their AMERICAN WINE SPECIALIST® certification in the “first globally-recognized course on American Wine” provided by the North American Sommelier Association. These ladies, Eve Bushman, Danise Davis and Beth Greenwald, have also obtained a Level 2 Intermediate Certificate in Wine and Spirits from the London-based Wine and Spirit Education Trust. 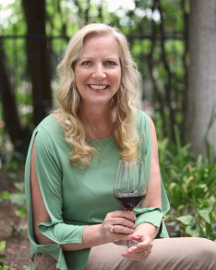 All three are ready for their next challenge – being the go-to for wine education in private homes and local businesses in the Santa Clarita Valley and beyond. One to two hour classes, sometimes longer for parties, with up to 20 guests for one teacher, a second teacher for an additional 20 and our third teacher for up to 60. From how to select wine to all the other “how-tos” such as opening a bottle, serving, testing for cork taint, detecting aromas, flavors and making a general conclusion as to the quality of the wine. Learn how to discern what you like in, say a Chardonnay, by tasting several from different areas, winemakers and oak treatments. Beyond a beginner’s class, learn what we do in examining a wine. This does include learning to spit so that you can taste several wines in one sitting, as well as making a quick educated decision about the quality of a particular wine. Wine is not just something to rinse the palate between bites of food. Learn how some wines complement food while others can actually make your food taste bad. Educate your wait staff on everything on your wine and cocktail list. From which wines/cocktails should be paired with which foods, to basic wine service and maximizing checks and tips. We will educate you on holding your own wine tasting party with tips on stemware, service tools, what wines to buy, how to serve them and what to pair it with. If you have a theme, or need help with a theme, we begin there. As above, however we will host your wine tasting party for you by providing service and entertaining how-to tips for your guests. Prices are $100 per hour per instructor. Wine, food and venue is not included in pricing but can be obtained for an additional fee. 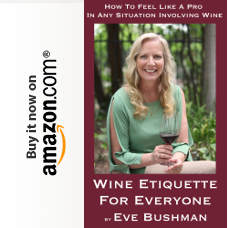 Contact Eve Bushman at Eve@EveWine101.com for questions and bookings. 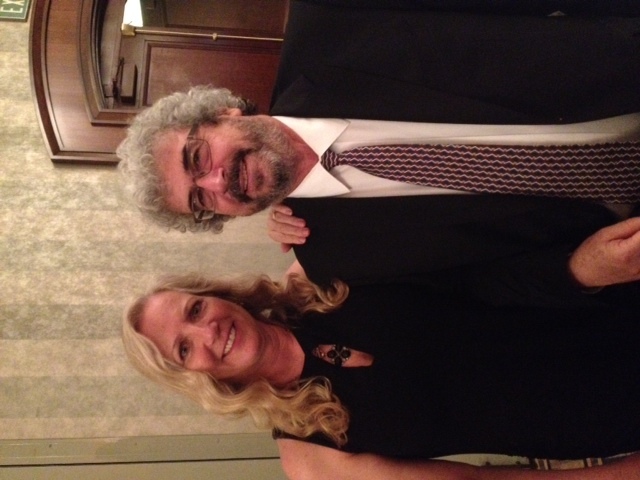 2014 Update: Guest Judge, L.A International Wine Competition, guest judge for Bordeaux/Bordeaux Superieur at the L.A International Wine Competition. 2014 Continued: Wrote Wine Etiquette For Everyone: How To Feel Like A Pro In Any Situation Involving Wine. THIS SHORT E-BOOK HAD OVER 1,500 DOWNLOADS WITHIN THE FIRST 5 DAYS OF ITS RELEASE. Essays in Wine Dogs California (large format), Wine Dogs USA 3 (2012), Wine Cats (large format, 2013), and upcoming Wine Dogs California 4 to be published May 2016. 2015 Update: Served as one of about two dozen wine judges for “The country’s only nonprofit Grand Cru. All proceeds benefit Legal Aid Foundation of Los Angeles programs”​ http://longbeachgrandcru.com/2015-judges. Created, marketed and co-hosted sold out “Cocktails on the Roof” 2015 fundraiser for the WiSH Education Foundation. Won the Ultimate Ladies Consultant award by voters in the inaugural contest run by Elite magazine. Hosted “Cocktails on the Roof” again for 2016. Honored as one out of five recipients, in the category of Philanthropy and Hospitality, in the Santa Clarita Valley Signal newspaper’s Top 51 awards. See all of our social networks: Facebook group page https://www.facebook.com/groups/EveWine101/, YouTube: http://www.youtube.com/Evewine101, Instagram: https://www.instagram.com/evewine101/ Tumblr: http://www.tumblr.com/blog/evewine101, and Yelp http://www.yelp.com/biz/eves-wine-101-santa-clarita. You can also find me on LinkedIn. Dear Wine Friend Newsletter: Every Friday I e-mail a newsletter that gives subscribers wine news, tasting notes and links to specific articles by staff writers, contributing editors, guests and myself. 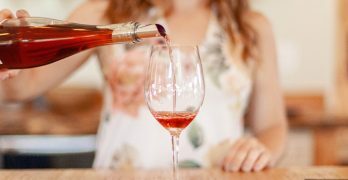 Also included are highlighted events from our original Santa Clarita Valley Wine Calendar, and links for more articles I write for the West Ranch Beacon and on the glossy pages of Elite Magazine. Look for the words that read, “Hello and welcome to my site” and then just click on the yellow envelope above my head – on any page you are visiting – to sign up for your own copy of the weekly Dear Wine Friend newsletter. Hello Eve and Everyone…..thank you so much for inviting me here. I’m honored to be a part of this elite group…..CHEERS!! Laury Bakie. Just wanted to say I LOVE, LOVE, LOVE the new logo, look, site, etc. Love it! HUGS, B. “Eve is a mega marketeer…and goes beyond marketing into solid relationship building for her amazing products and services by helping smart people and not-so-smart consumers (like me) understand her wares. In addition she is so inclusive…I have not been able to make it to the fabulous events (i will soon!) but i ALWAYS feel part of them thanks to the frequent and comprehensive (and FUN!) information that eve shares….Eve rocks! !” Sandra W.
“ …and for what it’s worth Eve, my first memory of you reassured my faith in my mechanics at PACC Auto. I think the article was titled “A Few Good Men” and displayed your confidence in their automotive abilities. 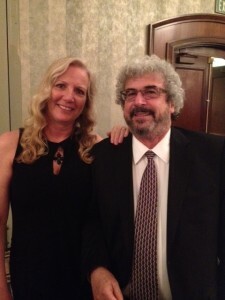 As a result, I am collaborating on a marketing campaign with my Real Estate business and Pacc Auto at this time.” Rocky C.
“Eve we thank you for all the nice things you wrote about our Two Hearts Estate Wines.We Had so fun sharing it with you and Ed.” Susie C.
Eve, Thank you for your promotions of the event. We raised $25,000 for the Club. That means the Arts Program at the Newhall Club is saved and we can even do more. “Hi Eve, Shari and I would like to congratulate you on the success of the “Pour for Haiti” campaign. I understand that it was very well attended and ACU raised a lot of money for Haiti! Kudos to you and your personal effort to promote this event. You worked really hard on it and you did a great job!” Lil Lepore, co-owner, Vino 100 Valencia. “I’ve been enjoying your blog & I’m glad you send the email reminders. Keep up the good work.” Terry B. “I’ve read every email you send out on Friday, you’re a celebrity.” Maria F.
“You have a very impressive site.” Peter W.
“Holy S—! I somehow found your blog today….what a change from the last time I looked! How many people daily are looking…do you have any idea?” Lauren L.
“I enjoyed reading your wine blog. Can you tell me how I can subscribe or have it sent to me when updated? Thank you. And keep up the good work with the Blog!” Mary B. “Hi Eve — I’m a student of DiMaggio’s at COC … Could you please add me to the ‘evewine101.com’??? Many thanks,” Terry T.